The Carnegie Community Action Project (CCAP) works to increase welfare rates, improve social housing, and slow gentrification in Vancouver’s Downtown Eastside (DTES). CCAP supports DTES residents to speak out for the changes we would like to see in the neighbourhood. CCAP works with english speaking and Chinese speaking DTES residents in speaking out on their own behalf for the changes they would like to see in their neighbourhood. 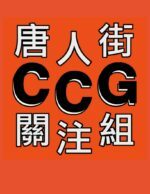 The Chinatown Concern Group consists mainly of Chinese residents of Chinatown and Downtown Eastside, and works with others in Chinatown to get more housing that low-income Chinese seniors can afford and to preserve Chinatown businesses that cater to the low income Chinese community. 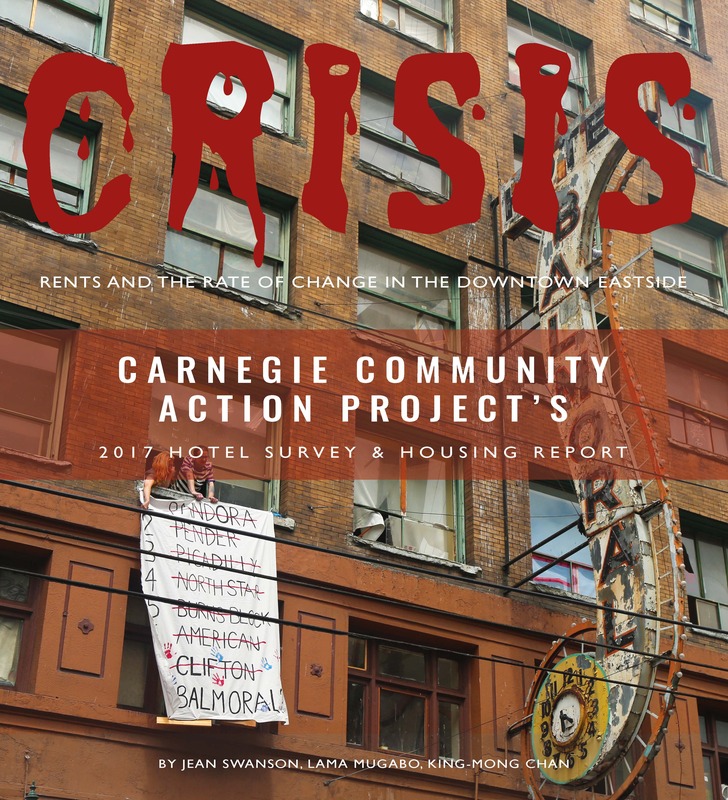 CCAP’s annual Hotel Survey and Housing report measures whether low income people can afford to remain living in their community. 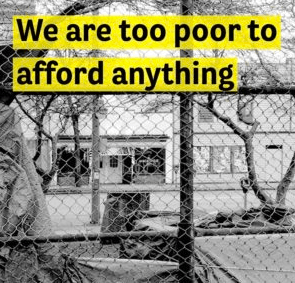 With about 8,500 low income people in the community surviving on welfare and disability, and about 4,000 on seniors’ pensions, most residents have only about $375- $403 a month for rent. Read the hotel reports here. The report is the result of a year-long project, in which low-income residents surveyed over 450 retail stores in the neighbourhood. The survey found new gentrifying businesses selling $138 mink eyelashes and $11 juice bottles in an area where over 13,000 people live in deep poverty having to survive on social assistance. The report reveals the extent of retail gentrification in the DTES and its impact on low-income residents in the area.